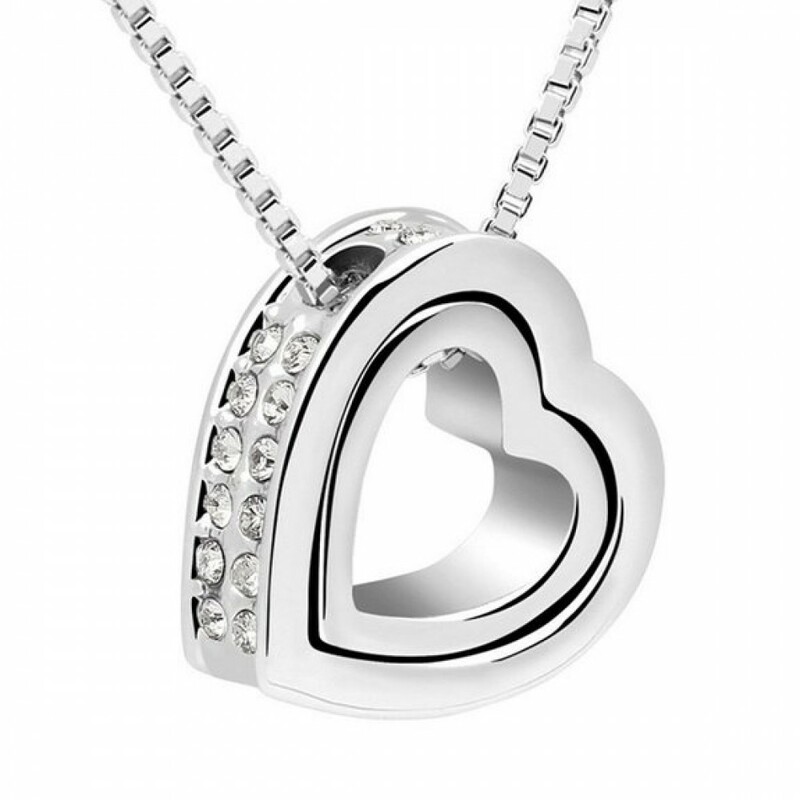 This stunning Swarovski Elements double heart pendant is sure to accompany any outfit day or night. The white gold plated pendant measures approximatley 1.7 x 1.7 cm in size and hangs from an adjustable 18-20 inch chain. This comes presented in its very own luxurious gift box.